The past few mornings the boys have been awake somewhere between 5:00 a.m. and 6:00 a.m. As I try to pull my brain into consciousness, I always promise myself that someday when they are teenagers, I will bust into their room at 5:00 a.m. and tell them this is me getting sweet justice. Oh it's gonna happen. They'll hear about all the napping strikes too. "I'm sorry did you want to nap after practice? Too bad. Now go mow the lawn please." Mom of the year for surrrreeee. However there is an upside. Yesterday we ran all our errands before 9:30. It was perfect timing because as soon as we were home a summer monsoon hit. So they boys and I just played in the living room and enjoyed the storm. Then this morning we were able to eat breakfast, make Andrew's lunch, go for a walk, AND shower (PTL), all before 9:00. And now I get to share my Five Favorites while they play semi-nicely in their room. Found a starter calligraphy book that I would love to begin! I think calligraphy is so gorgeous. But honestly, I don't have the time. Also...I should probably tackle the handwriting book my mom gave me back in christmas 2011. Yeah. My handwriting is just that bad. Fell absolutely in love with this image. I've wanted to do a flower wall for a while now and now I think I'm going to add hanging flowers to the list. Today as I was putting my clothes away in the closet I noticed all my scarves and just for a second I was wishing for cooler weather. But just for a second. Then after that brief second of wishing for cooler weather, I remembered everything I love about summer. 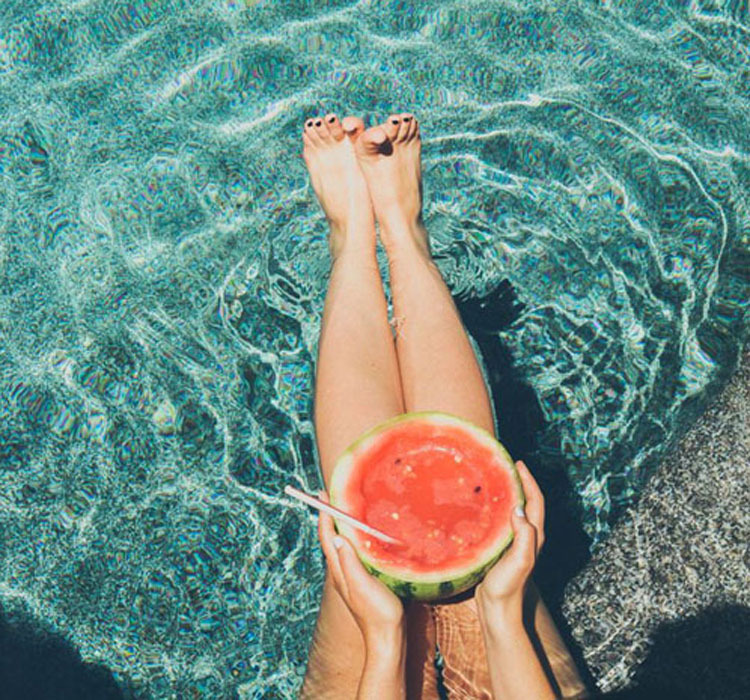 Two of those things being pool time and fresh watermelon. College football is great but it can't beat that ^^. This image is from the Design Love Fest Instagram account. I liked the freshness of this photo and the way the pinks and yellows stand out. So those are my Five Favorites for this week! See you tomorrow!